There were heavy bands before Sabbath. Cream, Hendrix, Zeppelin, Vanilla Fudge, and The Who were all on the scene well before Earth changed its name to Black Sabbath in 1969. But none bore the intent and follow-through of the boys from Birmingham. There are not many acts from the Sixties that have avoided the death of at least one of its founding members. People are now calling The Who, Rolling Stones’ Brian Jones didn’t even make it to the 4th of July in ’69. Only two Beatles remain. The last band anyone would have expected to survive is Black Sabbath. Sabbath had already recorded its first album of horror-inflected doom* on October 16th. By September of 1970, the second album was out, with themes of paranoia, war, and drug abuse trumping any fancies that peace and love would conquer this brave new world. 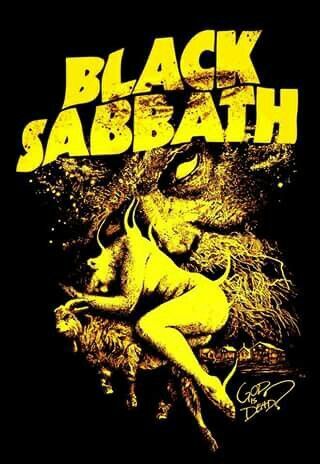 When the eponymous Black Sabbath album came out on Friday the 13th of February 1970, it was genuinely scary. People left the room when they heard the rain, the church bells, and the ultimate riff. No matter what has come since, nothing has ever been this heavy, produced in a world so utterly unprepared. After Ozzy was given the boot in 1979 for a lot of really bad behavior, general ennui, and epic levels of alcoholism, Ronnie James Dio came into the fold. The Rainbow singer was everything Ozzy wasn’t: professional, pitch-perfect, a lyricist, and American. Dio made four studio albums with Sabbath, the fourth and heaviest being 2009’s The Devil You Know under the band name Heaven & Hell. When Dio first split from Sabbath after Mob Rules, Deep Purple’s Ian Gillan was brought in to sing on the 1983 Spinal Tap-esque rave up Born Again. And when Dio refused to sing for Sabbath as an opening act at the aforementioned 1992 Costa Mesa gig, Judas Priest’s Rob Halford stepped in to offer some metal god-level pipes to the party. “I’m not doing that.” Dio said, quoted in Iommi’s Iron Man autobiography. we all know that Sharon will flog Ozzy back onto the road as soon as she’s able, but this was the last proper tour for Sabbath. Maybe they’ll record again. Maybe there will be a farewell show or three. Maybe we’ll even see them kiss and make up with Bill Ward once and for all. But with the contracts signed, Iommi’s ongoing battle with cancer, and all of the guys pushing 70, this tour is the last chance to see three of the founding members of Black Sabbath on tour together. If you’ve ever made it to the end of “Dear Father”–the last song on 13—you know that it ends right where the band started. Birmingham duo Table Scraps made good on the promise after their debut single following on top notch, cacophonous garage-rock with their debut album. Sounding like Marylin Manson fronting The Stooges in place of Iggy Pop. Now imagine if that band was conceived in a garage in Birmingham, central smack in the middle of the U.K instead of Michigan, and that the year is 2015 instead of 1967, you should be pretty close to knowing what the debut album from Brum-based duo Table Scraps sounds like. Clocking in at under 35 minutes, “More Time for Strangers” rattles and crashes towards its conclusion over the course of 12 tracks. 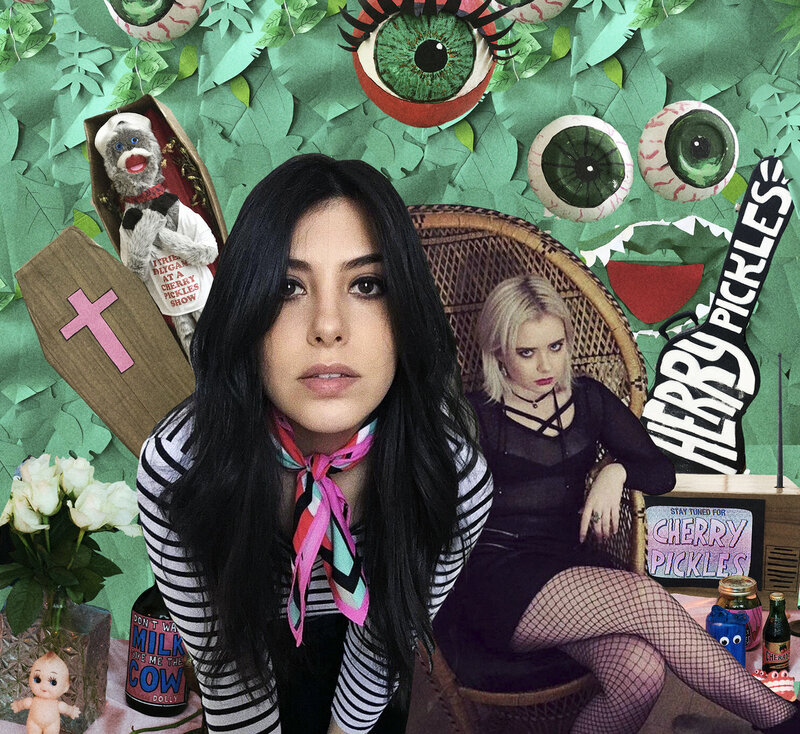 From the unrelenting riffs of Scott Vincent Abbott’s single guitar, to the militant roll of Poppy Twist’s drums, it’s garage rock at its most fuzz-hungry and debased, and after several listens you can’t help but feel dirty in the best way possible. Those who heard the band’s debut single The Bug will be pleased to know that it’s in good company here, with tracks like Vampyre Bite and Children of the Sky harbouring a similar darkness, stemming from Abbott’s venomous vocal delivery . Highlights include opener and second single “Electricity”. “More Time For Strangers” was released in the summer of 2015 as a limited edition 12” vinyl and digital download through Table Scraps’ own Hells Teeth imprint in the UK, and on cassette via Burger Records subsidiary Wiener Records in the USA. Based on the strength of their first offering and the way they’ve carefully and credibly building their already strong fan foundations on the DIY circuit, Birmingham trio Table Scraps might not be hoovering up the crumbs from the feasts of others for too much longer. As an outfit, they leave the distinct impression that they know exactly what they want and aren’t going to settle for anything less, even at this early juncture. Everything about them – from the aesthetics of the band, to their music videos and their self-produced output – feels considered and on-point. Their sludge-imbued garage punk undoubtedly owes a debt of gratitude to the likes of The Cramps and Turbonegro, but picks and chooses its influences carefully and smartly across a span of decades from the rock’n’roll history books. There’s a culture around this trip of a record that’s hard to deny, one that’s steeped in the US traditions of Dinosaur Jr and the MTV explosion, but also borrows heavily from the UK garage rock scene of the Sixties and throws a dash of hometown heroes Sabbath into the mix for good measure. All this is of course a long-winded way of saying that Table Scraps ooze cool from every greasy pore of their video-store-stalking, leather-jacket-clad malcontent bodies. ‘Sick of Me’ is the first single from the new LP ‘Autonomy’ – Released Feb 23rd on Zen Ten. Birmingham’s Table Scraps are a scuzzy, uncompromising, and more than a little tongue in cheek. As such, Their second album, ‘Autonomy’, harbours many of those same traits, and though its clattering garage rock may feel familiar for those who spent any time with the band’s debut, it does just enough to distance itself from its predecessor. Where ‘More Time For Strangers’ possessed an almost anarchic sense of youthful abandon, ‘Autonomy’ feels more structured, streamlined even. 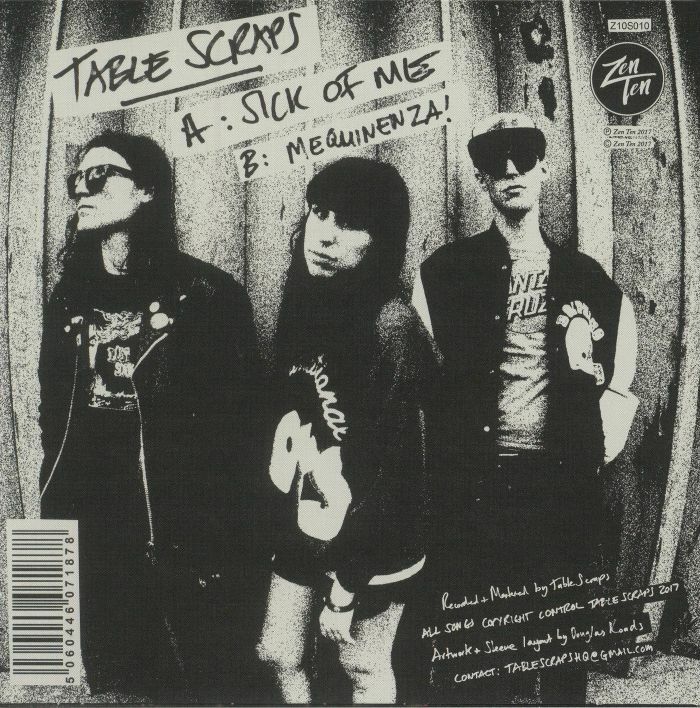 And while one can’t go as far as to say that Table Scraps have undergone a complete maturing process between records – each snarled lyric still feels brattish and uncouth – there’s a definite feeling that the band’s approach to their songwriting is coming from a more considered place. ‘I’m a Failure’ and ‘Frankenstein’ bristle with an undeniable punk energy that’s more ‘60s New York than ‘70s London. And while fast and loose will almost certainly be anyone’s first impression of ‘Autonomy’, a definite blues influence emerges as the record progresses. It’s something of a double-edged sword however, working in favour of the likes of ‘More Than You Need Me’ or ‘Do It All Over Again’ while stymying the pace on ‘Takin’ Out the Trash’ or ‘My Obsession’. It’s a shame, as ‘Autonomy’ is a record that gallops more than canters, yet occasionally falls victim to its own inherent sludge; bogged down by the murky waters of the Mississippi delta when it should be doing speedballs in an NYC dive bar. That said, it’s also one with more than its fair share of potential, suggesting that there’s plenty more to come from the Birmingham trio. 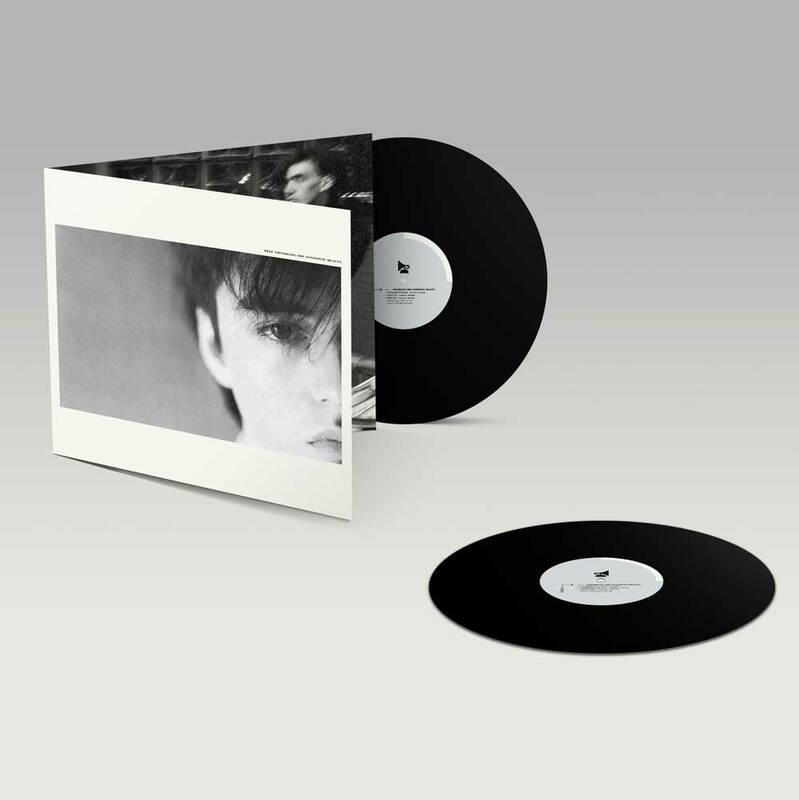 Anyone who’s been living on the grapevine these past few years must have heard the rumours about the coming of the FELT reissues – well they’re here. During the ‘80s Felt made ten albums and ten singles for the Cherry Red and Creation labels. This beautifully produced series examines the work of one of the greatest underground groups of modern times. The first five albums will be released on 23rd February 2018. These vinyl records, unavailable for many years, have been remastered and revisited by Lawrence, and he has fashioned the ultimate definitive collections. They are available in a deluxe gatefold sleeve. Lawrence’s ambition was to release the best debut English album ever! Adrian Borland offered his services, then commitments with his band The Sound prevented this from happening. So Felt began a relationship with Swell Maps producer John A. Rivers. Recorded and mixed in six days the band got a taste of how bitter reality fares compared to the “mellow fruitfulness” of blind ambition.